Bots N Dolls: More Sideswipes! 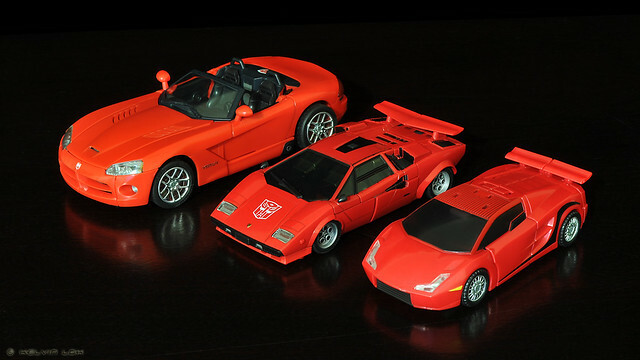 Comparing my latest Sideswipe - Masterpiece MP-12 - with the two closest in size, Alternators and Classics. My first impression was What?! 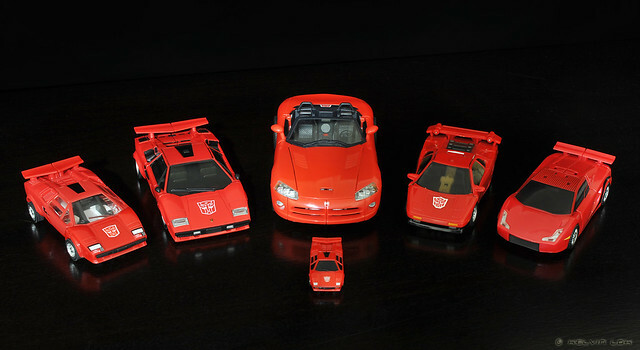 Masterpiece is smaller than an Alternator/Binaltech?? G1, Masterpiece MP-09, Alternators, Universe (OTFCC 2003 exclusive), Classics, and WST in front. 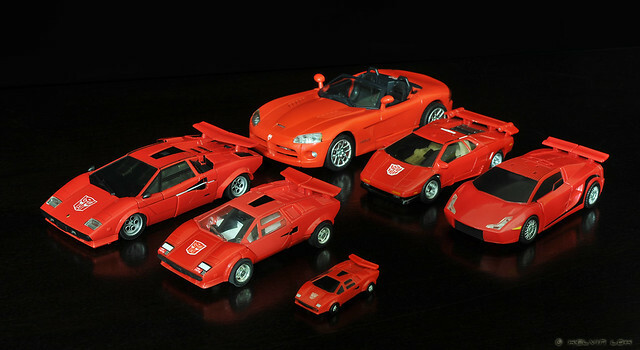 Yup, no Movieverse Sideswipe for me! tokidoki x Pullip! Oh my!